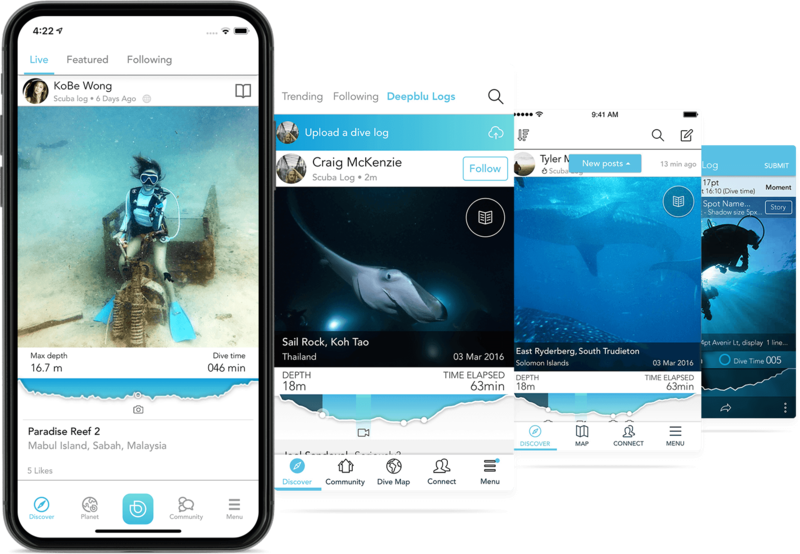 Community designed for divers to share dive logs and a passion for the ocean. 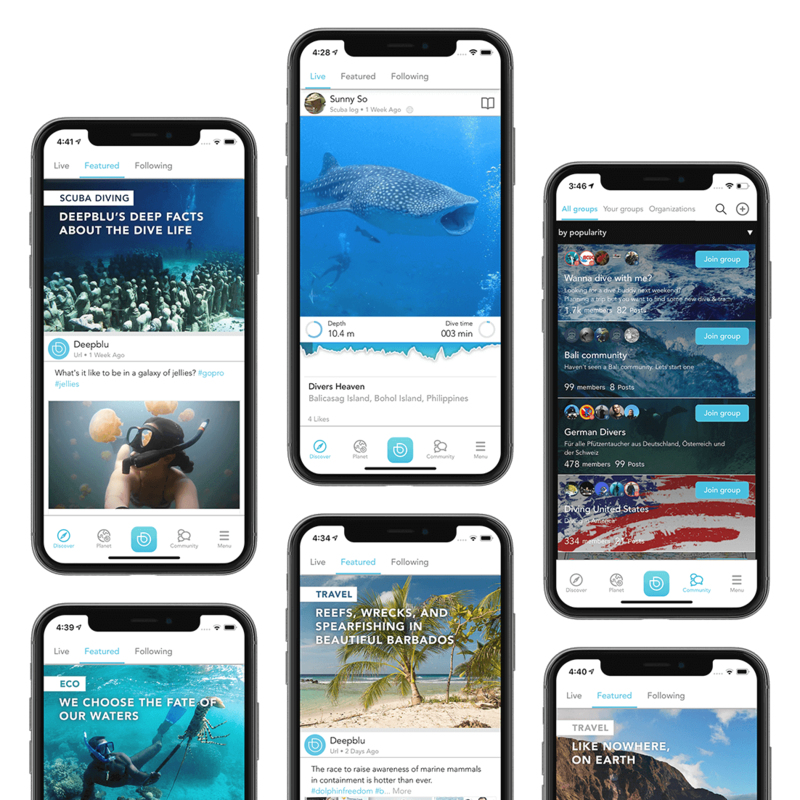 The Deepblu diving community transforms the way divers connect with one another. Go on exciting dive adventures though the eyes of other divers and bring others onto your journey by sharing your dive logs. 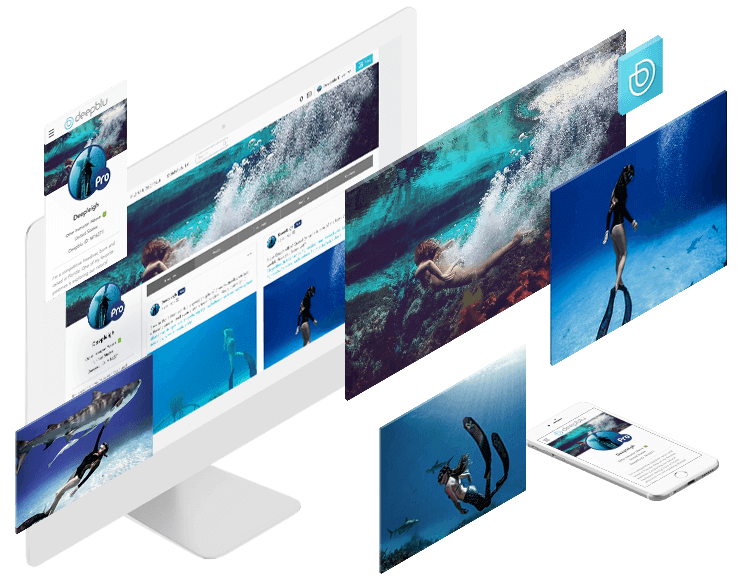 Deepblu is the online community where scuba divers and freedivers continue their diving adventures above the surface. Discover Live is the gateway to the underwater world. Scroll through the live feed of the coolest dive logs and posts of other divers. Be inspired and go on dive adventures though other divers. And when you are ready, bring others onto your journey by posting your own dive logs, photos and videos. Discover Featured is where you can find awesome content curated by our staff at Deepblu. We scour through the internet and the physical world to find the most interesting stories on diving and the ocean. This is where you can get the latest underwater news, Deepblu articles, fascinating posts and trending dive logs. Follow other divers on their journey and be the first one to know when they make a new post or upload a new dive log. 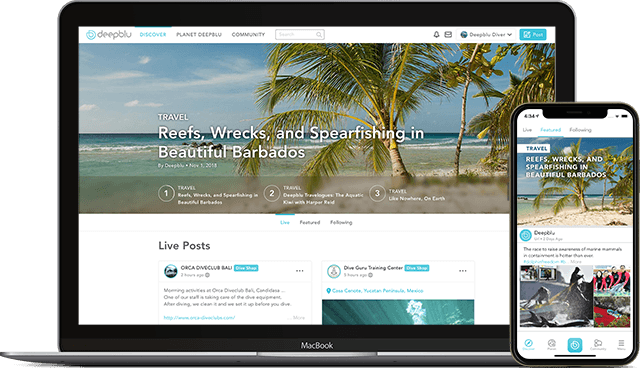 By following and adding dive buddies, you personalize your feed with content that truly matters to you. Collect the wonderful moments and look back on your accomplishments as a diver. 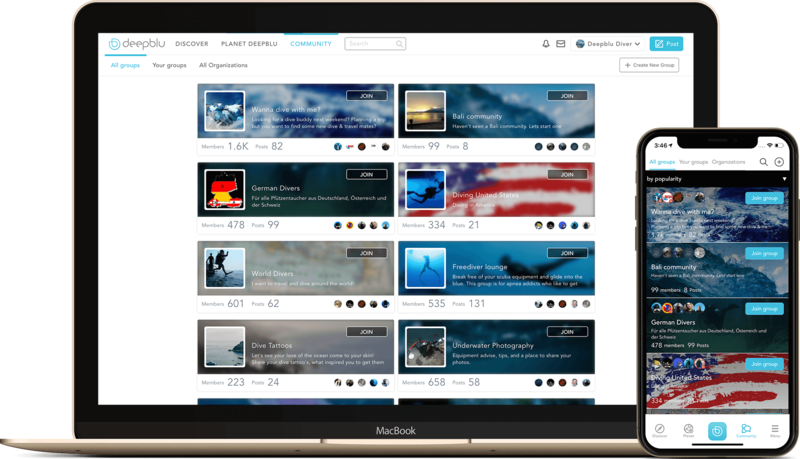 Home to your timeline, dive logbook, photo and video gallery, buddies and groups, your Deepblu Diver’s Profile is your diver identity. Build it up and Dive on. Community Groups are home to a wide variety of interesting discussions on fascinating topics related to diving and the ocean. 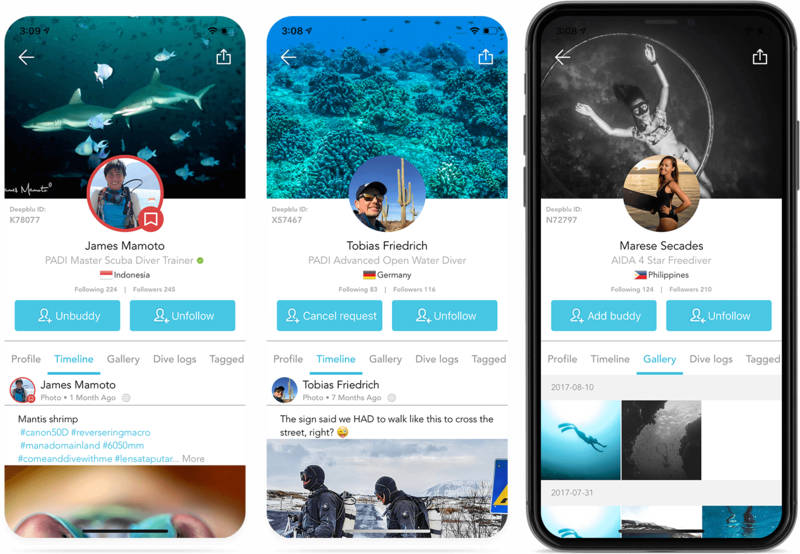 Whether you are into dive gear, underwater photography, particular marine animals or looking for dive buddies in a certain location, there is a group on Deepblu for you. We’re continuously releasing new upgrades to both the iOS and Android versions of the Deepblu app to enhance your user experience. Each upgrade adds new functions and improves existing ones. Nothing is perfect but we’re constantly working with our community to build the world’s best diving app. Click the button below for a history of improvements.